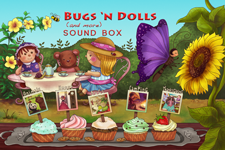 SAN DIEGO, CA (November 6th, 2011) – Monkey Prism today announced the release of Bugs and Dolls, a super fun interactive/educational sound box application. Combining beautifully-rendered drawings with engaging audio elements, this new app will surely be a hit with children of any age. Available on November 8th as a free download in Apple’s App Store, Bugs and Dolls features Monkey Prism favorite Nina Rouselle De Polonia back with her wonderful and vivid illustrations. “We wanted Bugs and Dolls to be more than just a simple sound box application with a limited play-value…the usual basic touch and response doesn’t apply here”, says Chris Danielson, Monkey Prism CEO. “We have created multiple modes of play that encourage learning and thinking, while still keeping things 110% fun”. 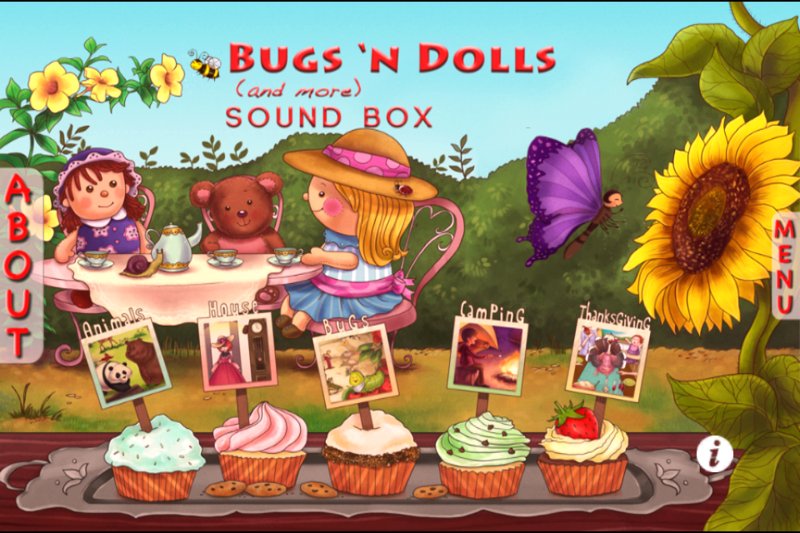 Bugs and Dolls is the second in Monkey Prism’s “Touch & Explore with Audio” line of applications. The free download comes with the Animals level (1 of 5) enabled for immediate play. * Beautiful and original full-color illustrations. * Interactive touchable objects give encouraging and fun audio feedback. * “Sound Box Mode” – Touch things for cool sounds! * “Word Mode” – Touch, listen and learn! * “Quiz Mode” – Answer the questions with a touch! * More levels to come! The basic version of Bugs and Dolls includes the Animals level, and is available for free in the Apple App Store. Three other levels (Dollhouse, Bugs, and Camping) can be unlocked through an in-app purchase of $1.99, as well as a fun Thanksgiving level for $.99. Monkey Prism was created in 2010 to provide fun applications for mobile entertainment consumers. Bugs and Dolls is the follow-up to their successful release of Riley and the Magical Laundry Basket, as well as the official Peanut Butter Jelly Time application. If you’d like more information about Bugs and Dolls, or to schedule an interview with Chris Danielson please contact us here.